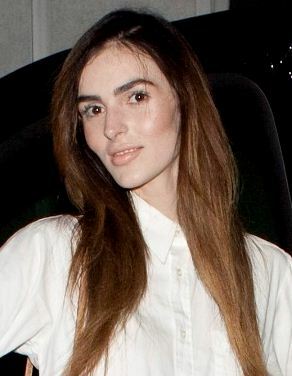 Ali Lohan took a lot of grief for her new face when the seventeen year old was accused of undergoing way too much plastic surgery. But news reports have now shifted to say that AliLo just lost a bunch of weight...and I'd believe it. Now that Lindsay Lohan (LiLo) is out of the spotlight, AliLo is taking a step in...but not for anything good. Her face has changed dramatically from one with a healthy glow to one that doesn't have much to it at all. At first, the speculation was that she'd had plastic surgery, but now the verdict is that she's experienced some pretty dramatic weight loss. Next Model Management, the agency that represents Ali Lohan, claims that she's had no surgery and the facial change is normal - after all, Ali's a growing girl. But if you take a look at some of her other pictures, Ali looks unnaturally skinny. In some of her modeling photos, it looks like her size-0 jeans may even been too big on her emaciated frame. Next Model Management contends that Ali's figure and face are normal, and that they encourage their models to live healthy lives. Here's the thing - while Ali's clearly old enough to make her own food and exercise related decisions, take a look at the environment she's been living in. When sister Lindsay hit it big, Ali was also thrust into the spotlight, due in part to mom Dina Lohan putting her on a reality show (Living Lohan, in which she caught a lot of criticism for her bad singing) and dad Michael Lohan doing, well, really weird stuff. You know, like publicly bashing Dina, reaching out to Lindsay and dating Kim Granatell. It's not like she grew up in a household with a private life. She's probably been encouraged for years to lose weight so she can be famous, be a model, etc. The poor girl probably feels like the only way to grow her career is to lose the weight. Let's hope that Aliana's just taken off some weight due to a hectic schedule and will return to a healthy weight after all of the controversy that came up from her scary-skinny pictures. I'm sure she will have a successful career as a model as a twiggy girl...but she may have an even stronger one if she packs on a couple of pounds and uses the publicity to show the world that healthy is beautiful. She has such an opportunity to be a role model to young people. Let's hope she takes it, rather than getting sucked into the appeal of being completely fat free.